Many of us take for granted the mindless actions that our body does without any pain. Opening one’s mouth or chewing food is something most individuals don’t even think about. It’s another story however, if you suffer from Temporomandibular Joint (TMJ) Disorder. This disorder is tied to the two joints on each side of the head that connect your jaw and skull. TMJ Disorder can cause an individual to have decreased movement, pain while chewing and can often times cause difficulty opening and closing one’s mouth. At Caron Chiropractic Clinic, P.A., in North Oaks, MN, we have a solution by providing you natural TMJ pain relief through chiropractic treatments. Carpal Tunnel Syndrome occurs when the median nerve, which is the nerve that runs from our forearm down into the hand, becomes constricted at the wrist. The Carpal Tunnel is an area that is narrow and rigid passageway of ligament and bones at the base of the hand houses the median nerve and tendons. As symptoms worsen, there may be tingling and loss of grip in the hand, making daily tasks hard to perform. In chronic and/or untreated cases, the muscles at the base of the thumb may waste away. Some people are unable to tell between hot and cold by touch. Carpal Tunnel Syndrome is the most common and widely known of the entrapment neuropathies in which the body’s peripheral nerves are compressed or traumatized. 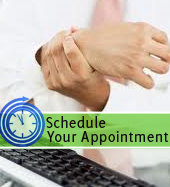 As Carpal Tunnel can be debilitating, it is important to receive help and at Caron Chiropractic we offer non surgical Carpal Tunnel Relief for St.Paul, MN. If you’ve ever tried acupuncture treatments, you know that, even in a short amount of time, acupuncturists are able to provide pain relief for an amazing range of ailments and injuries, and they can do so without the use of medications, surgeries, or even other chiropractic care. 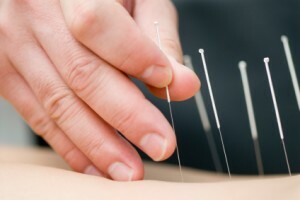 If you’re looking to avoid invasive injury treatments, stop taking pain relief medications for your health conditions that could be treated with acupuncture, and find a way to treat your pain directly at its source, then acupuncture might be exactly what you need. At the Caron Chiropractic Clinic, our St. Paul, MN acupuncturists are here to help you find the best pain relief or injury recovery solution available, and they’ll help you decide if acupuncture is right for you and your body. If you’ve sustained a whiplash injury, you might be feeling stiffness or soreness in your neck, shoulders, or back, numbness or pain throughout these areas, dizziness, disorientation, or headaches. All of these are common whiplash symptoms, and they are all treatable with chiropractic whiplash treatments. 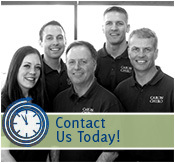 At the Caron Chiropractic Clinic, we make it a priority to provide our patients with the best chiropractic care possible, and when you’re suffering from a whiplash injury, chiropractic care is exactly what you need. 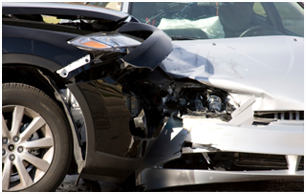 Our North Oaks, MN whiplash chiropractors will be sure your body undergoes a full whiplash recovery and that, in the meantime, you can experience natural whiplash pain relief that will help you relax and increase your chances of a speedy whiplash injury recovery. Being diagnosed with carpal tunnel syndrome can feel like you have a long journey ahead of you, especially when you consider that one of the most common carpal tunnel syndrome treatments is surgery. Unfortunately, carpal tunnel surgery can require more recovery time than most patients would prefer, and if it’s possible to avoid surgery, most people would opt to do so, if only to save on the cost of treatment. Fortunately, there is an alternative carpal tunnel treatment that requires no surgery and no medications: carpal tunnel chiropractic adjustments. At the Caron Chiropractic Clinic, our St. Paul, MN carpal tunnel chiropractors will look over your medical history, get an understanding of your work responsibilities and daily habits and hobbies that could affect your carpal tunnel diagnosis, and help you decide whether carpal tunnel chiropractic treatments are right for you.